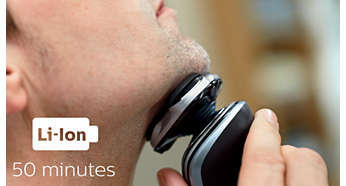 The Shaver Series 5000 protects your skin while you enjoy a refreshing shave. Shave even faster through dense parts of your beard with the 10% extra power boost you get by activating Turbo mode. 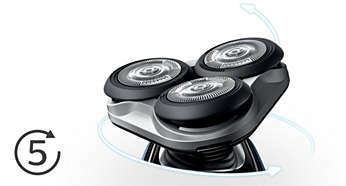 At the touch of a button, SmartClean cleans, lubricates and charges your shaver, keeping it performing at its best.